Prime Minister Hun Sen yesterday announced that about 200 public buses will be provided for people to use for free during Pchum Ben in October. 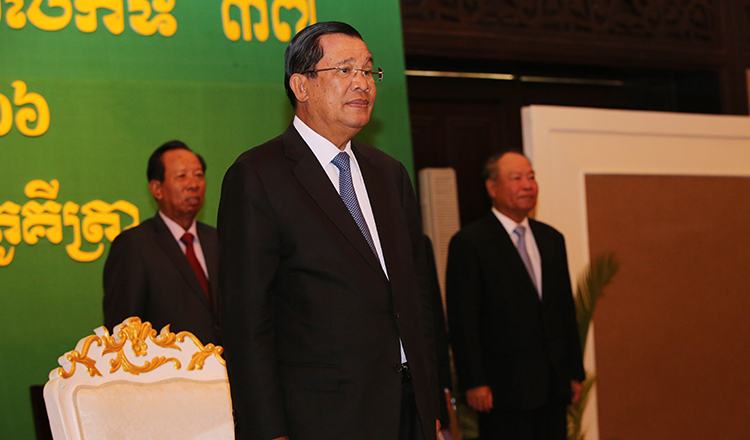 Mr Hun Sen made the announcement during a meeting with reps from trade unions and education associations, along with CPP activists, at the Koh Pich convention centre. The plan follows a successful run of free bus services that transported 14,000 people to their hometown and back during Khmer New Year last week. 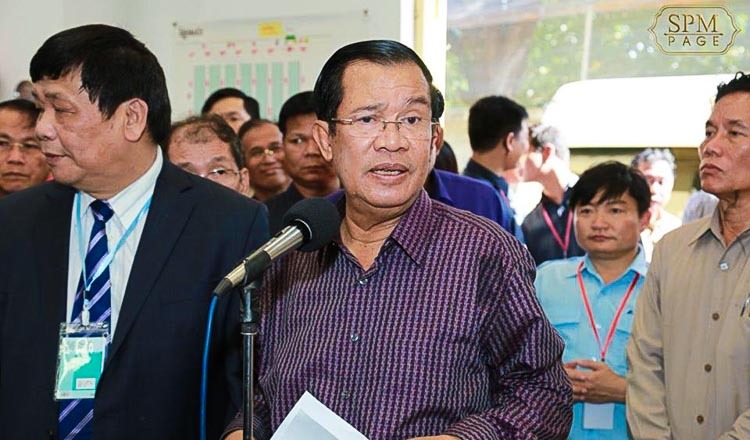 “Samdech Hun Sen announced that for Pchum Ben day, Phnom Penh municipal hall will prepare 200 city buses free to people and garment workers,” Mr Hun Sen said on Facebook. During Khmer New Year, the government provided 60 public buses to help transport people back to their hometowns free of charge after pleading for private companies not to reduce their fares, a request that went unheeded. 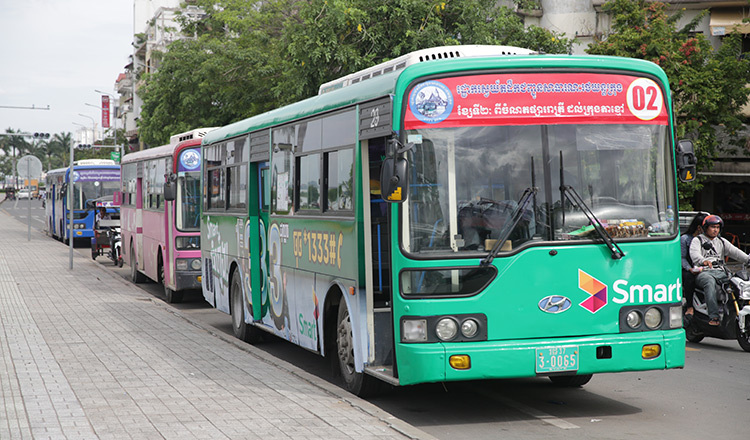 Ear Phearith, deputy chief of Phnom Penh’s bus transportation authority, said that the pilot project was a resounding success for passengers and said that everyone was satisfied with the model. Mao Nareth, 25, a restaurant staffer in Phnom Penh, said that he took the free service to his hometown of Kampot during Khmer New Year and expressed his satisfaction with not paying for the ride home. 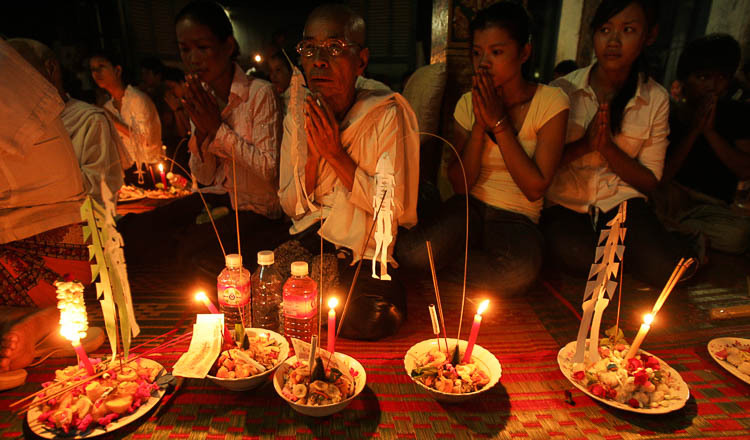 Pchum Ben will take place from October 8 to 10.